Looking for saddles for any equestrian sport, showjumping, eventing and dressage saddles. Leading Saddle makers including Stuben saddles, Mark Todd saddles, Wintec and many others. Help and Advice on Choosing the Right Saddle - IF you are unsure about what saddle to use when riding then take a look at our quick guide to choosing the right saddle. WinZon Calfskin Horse Dressage Saddle - WinZon saddle is in traditional French style and it is made in French imported calfskin with saddle seat all use sofa skin. And designed with shallow made it is suitable for middle and high level jumping rider. 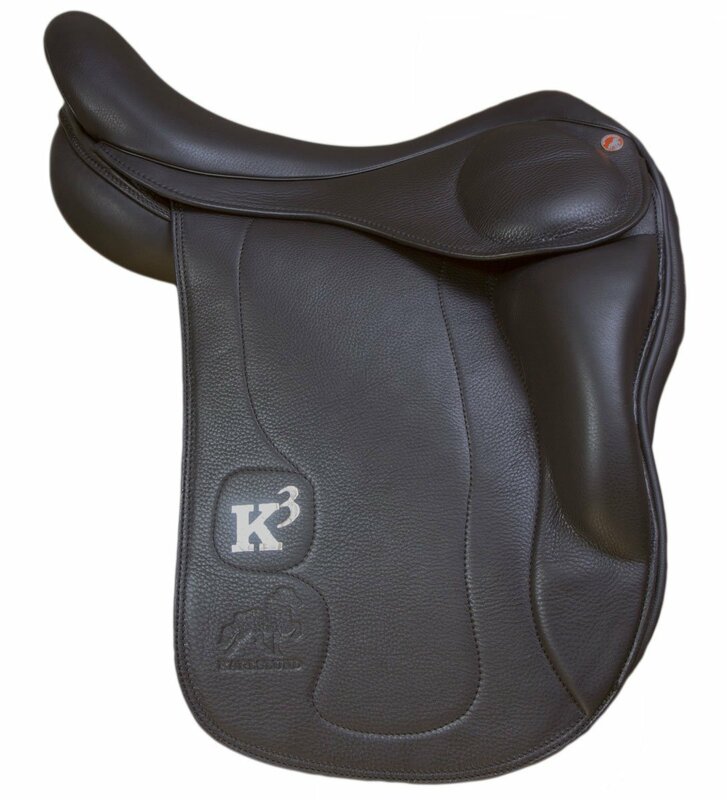 Karlslund Riding Equipment K3 Saddle with Short Knee Blocks - Black, 16-Inch/44 cm - Good supportive and short saddle in top quality materials. Very flexible tree with unique shock absorption and weight distribution, as well as an exchangable gullet iron. Extra shoulder freedom, and close contact to the horse. Anatomical and comfortable short knee rolls with good support. The saddle is flocked with latex for optimal fit and adaptability. 2 long girth straps with Y-attachment. Saddle cover included. This saddle can be special ordered with custom knee rolls, colors, etc. Contact us for further information. WALDHAUSEN Wintec Pro Dressur mit Contourbloc, Cair - The Wintec Pro Dressage with Contourbloc enables you to create your unique comfortable riding experience. The slim design and the long saddle with support the correct fit and guarantee optimum exposure. The Contourbloc provides extra grip and safety on the saddle. TATTINI - CARDIFF saddle - Close contact jumping saddle in high quality grain leather. 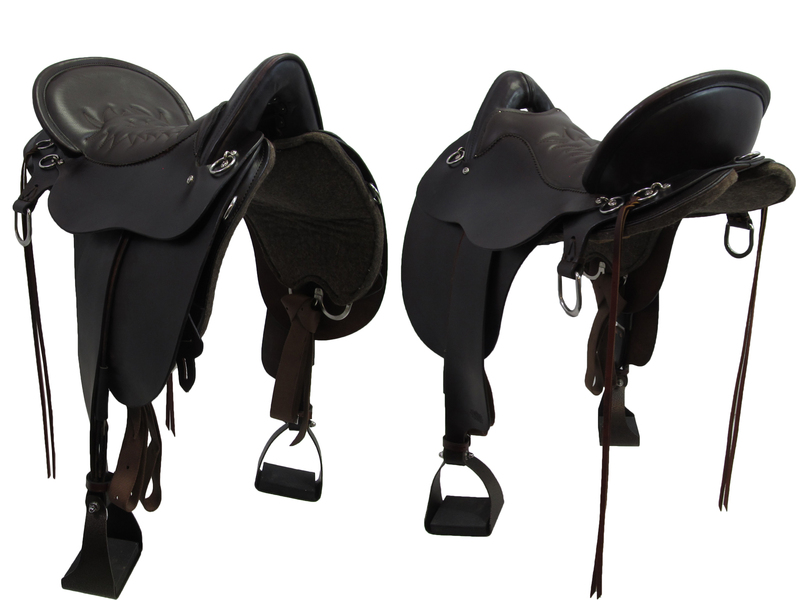 Square cantle seat, latex moulded panels, front and rear knee pads, stainless steel stirrup bars. Synthetic tree, withers 28 cm. Size 16": Pony. 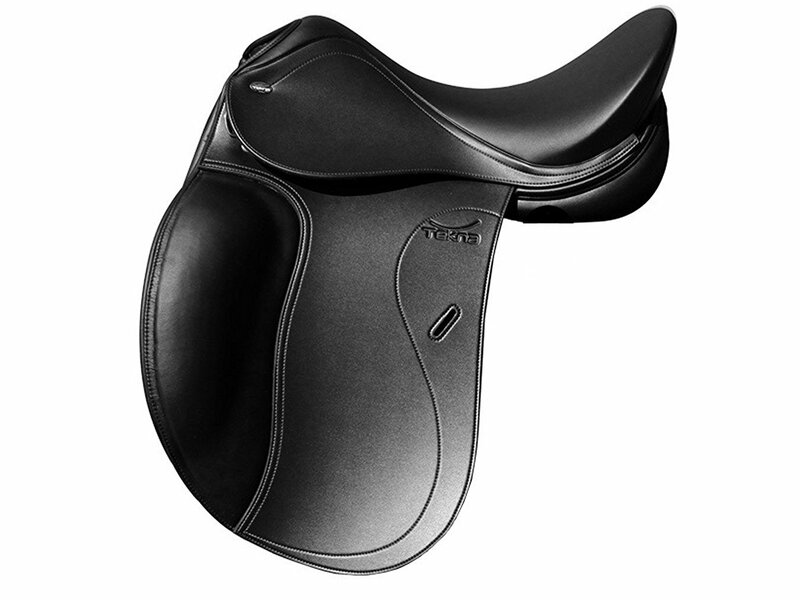 USG Tekna Smooth Dressur - TEKNA smooth dressage saddle cloth Schwarzdieser very elegant Tekna Dressage Saddle Cloth in real leather look made of smooth microfibre material allows for a comfortable seat depth The Highest Comfort For A Correct sitting position. IF you are unsure about what saddle to use when riding then take a look at our quick guide to choosing the right saddle. 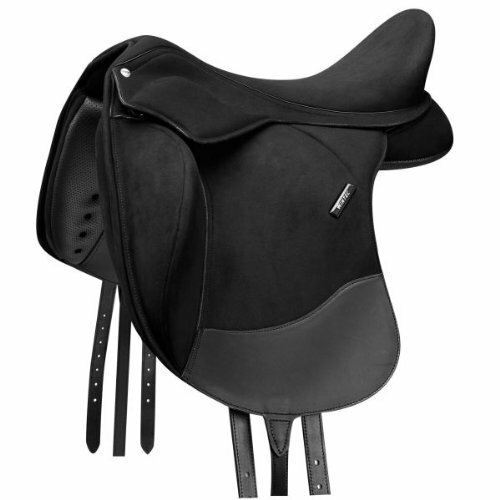 Specially designed for the wider horse this saddle gives unprecedented luxury and comfort for the rider. Maximises comfort and performance of your horse. Features include uniquely positioned stirrup bar, utilisation of the easy change Wide Gullet System, adjustable Y - girthing and Flexibloc Systems. 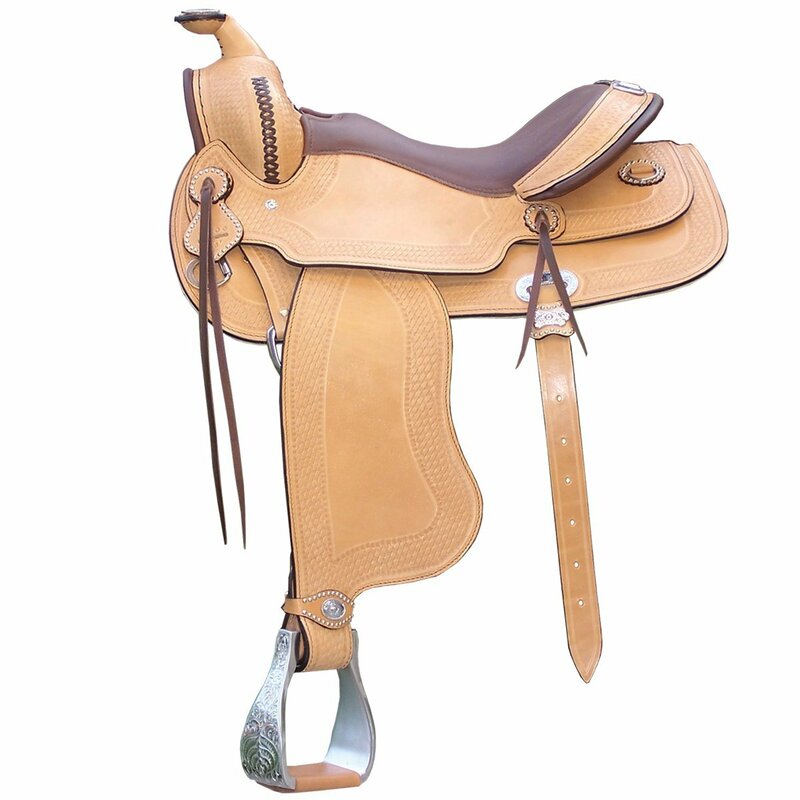 Good supportive and short saddle in top quality materials. Very flexible tree with unique shock absorption and weight distribution, as well as an exchangeable gullet iron. Extra shoulder freedom, and close contact to the horse. Anatomical and comfortable short knee rolls with good support. The saddle is flocked with latex for optimal fit and adaptability. 2 long girth straps with Y-attachment. Saddle cover included. 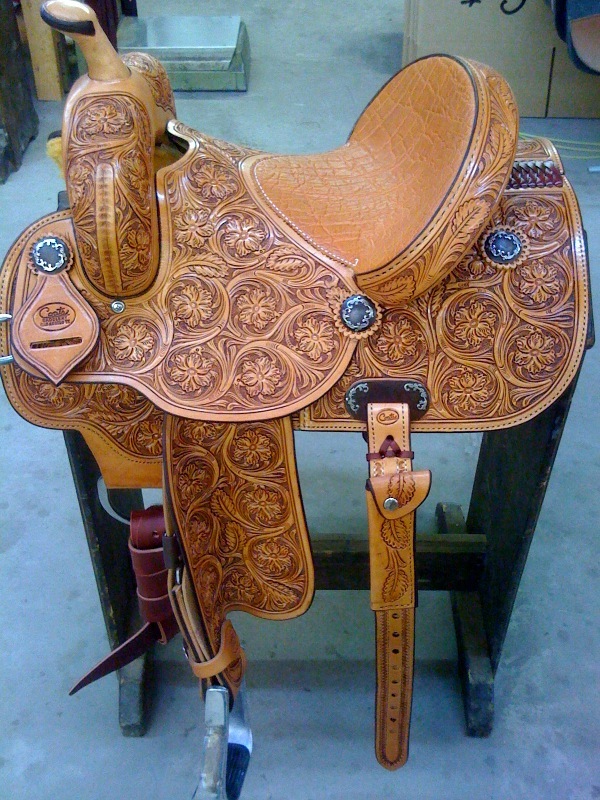 This saddle can be special ordered with custom knee rolls, colors, etc. Contact us for further information. The Wintec Pro Dressage with Contourbloc enables you to create your unique comfortable riding experience. The slim design and the long saddle with support the correct fit and guarantee optimum exposure. The Contourbloc provides extra grip and safety on the saddle. Equipped with: Cair Air Cushion System Easy Change Fit Solution - -Tilt _ Y girth strap system-elastic TiFlex saddle tree Ergonomic drop springs-Contourbloc and equi grip saddle blanket/Equisu Edeers Tmalig, we offer you the combination weltf�hrender Innovationen, High-Tech Materials and Verbesserterleistungsmerkmale in lightweight, easy to clean and weather saddles. Wintec stands for unique experiences in the horse riding.The combination of the CAIR Air Cushion System with easy change fit solution provides optimal adjustment possibilities of the saddle - for unlimited comfort for you and your horse.Both hobby rider as well as ambitious tournament rider will find Wintec The Right Saddle Model for you. 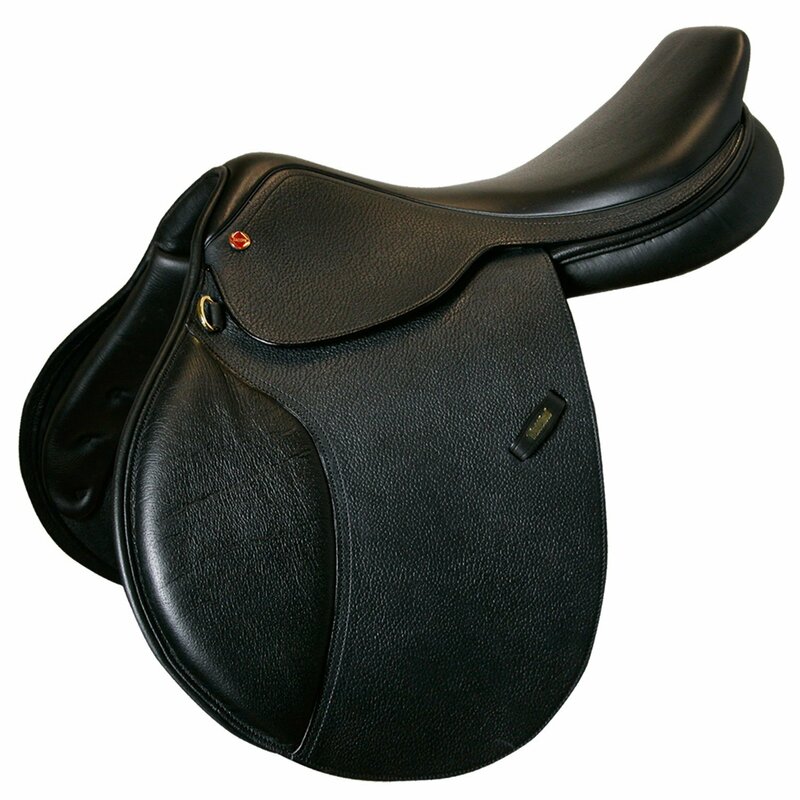 TEKNA smooth dressage saddle cloth Schwarzdieser very elegant Tekna Dressage Saddle Cloth in real leather look made of smooth microfibre material allows for a comfortable seat depth The Highest Comfort For A Correct sitting position. 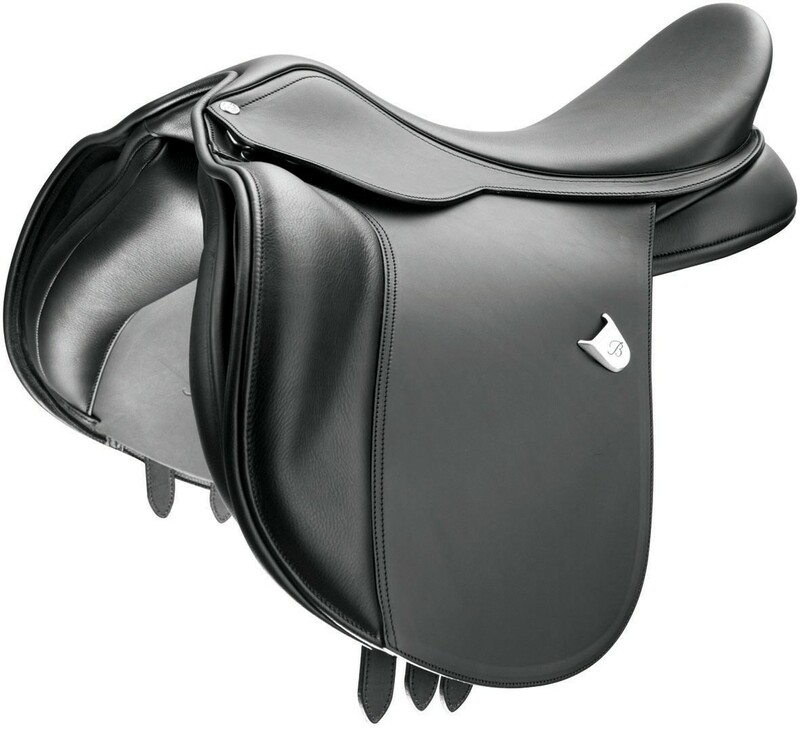 Its abriebbest�ndigen and anti-mould properties ensure an extremely durable saddle. The breathable properties allowing the optimum air circulation between the riders The Skin (or horses) and the saddle surface (as the saddle blanket). 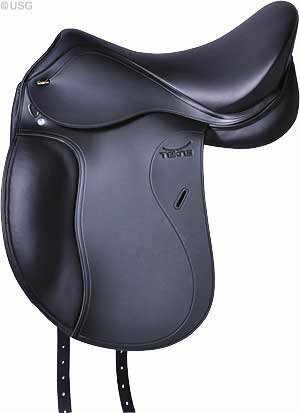 At the same time allow the flexible saddle tree, a soft padded seat and saddle blanket relaxed riding for you and your horse.The quick, form fitting system allows you to customize only with heat, the perfectly choose the width of the saddle tree.Quik Clean Materials: All Tekna saddles are distinguished by its easy to clean leather uppers. Thanks to the modern Quik Clean TM "surface including saddle soap and leather care products a thing of the past. The Tekna saddle is wiped clean with a damp cloth and hence saves money on time and money compared to the traditional care Ritualen from leather saddles and equipment Also offers a ride through the water and a heftiger rain downpour, the Tekna products wont cause any damage. TEKNA offers a very large range of chamber wide, saddle sizes and colours of all models, so safe to the perfect saddle for proven Quik Clean quality a collection that speaks for itself. TEKNA saddle are regular practice tests with professional riders and product developer, so that more consistent in first quality can be guaranteed. WinZon saddle is in traditional French style and it is made in French imported calfskin with saddle seat all use sofa skin. And designed with shallow made it is suitable for middle and high level jumping rider. Not everyone owns a saddle, but if you own your own horse this is going to be something that you`ll want. Choosing a saddle can be a stressful business because not only is it an expensive investment, but there are so many different kinds, sizes and colors out there to choose from, but it`s not impossible. 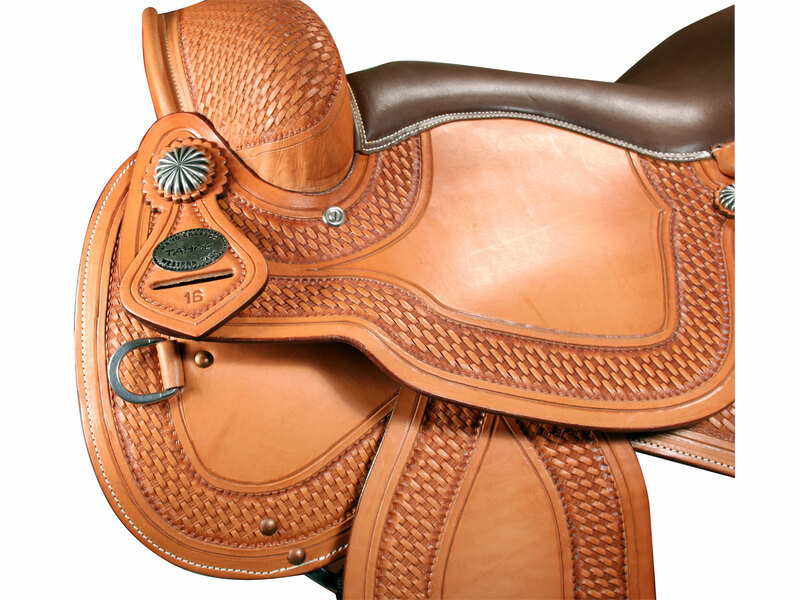 There are a few different things you should look at and make note of when you`re buying a saddle, then once you have all that information you can start to choose between the options out there. Before anything else you need to know what saddle you want based on what kind of riding you do. Western or English? 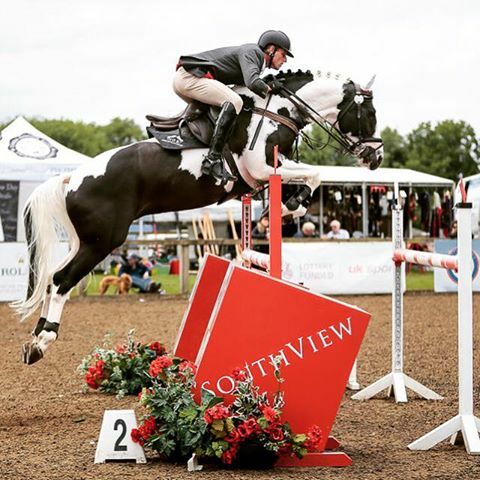 Dressage or show jumping? All of these disciplines have different saddles so you`ll first need to decide which is right for you. There is no right answer here, it is truly up to you. Back in the day, synthetic saddles weren`t really all that useful because they typically came in bright colors which made them inappropriate for showing, but now they come in synthetic leather, which makes them look like a regular leather saddle and makes them much more appealing. They`re lightweight and super easy to clean, which is their main benefit. 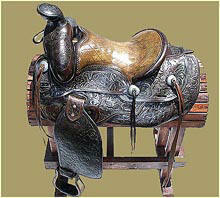 However, leather saddles are the traditional kind and, typically, will last longer if you get good quality leather. When it comes to size you need a saddle that fits both you and your horse. If it doesn`t fit your horse properly they`ll be uncomfortable and could cause them back and health problems. If it doesn`t fit you properly, your position will suffer. Choosing the right size for your horse will depend on the width of the gullet, and choosing the right size for you will mean looking at the size of the seat. Saddles come in all varieties of sizes, so you`ll be able to find one that`s just right. The last thing you want is to invest in a saddle and find you accidentally measured either you or your horse wrong and as a result bought the wrong size. Make sure you double check everything so there`s no wasted money. If you are unsure about taking the measurements then you will need to approach a proffesional about a saddle fitting service. 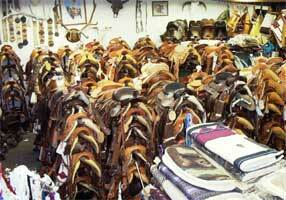 Just like with anything, you`ll have to decide whether you want a used or a new saddle. There`s no right answer and you can get some incredible saddles in great shape that are used and at a significant cheaper price. But, there`s no shame in wanting a new one either. 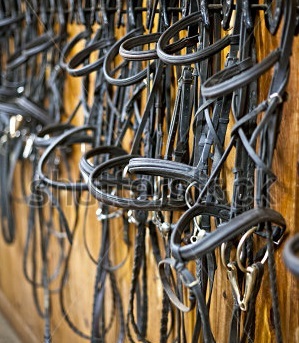 By going through each of these sections and answering the questions in them you`ll be on a great start to choosing the right saddle for yourself and for your horse. It all comes down to what you like and what you and your horse feel comfortable in. 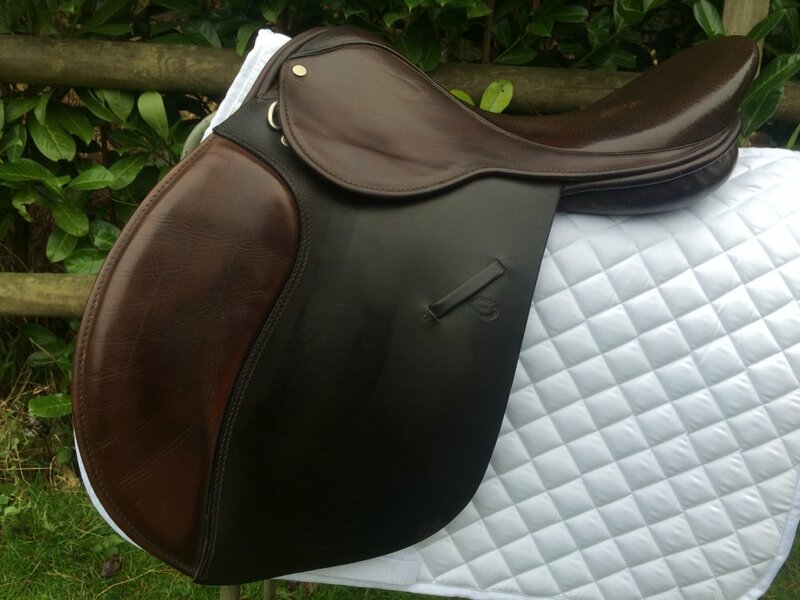 The Pessoa Gen X Saddle with natural ams, versatile with calfskin flaps and seat for extra grip and comfort.Fine detailed stiching. Coats Saddles traditional western saddles made in the heart of Texas, made by Larry Coats offering 30 years of experience making saddles that meets the needs of a cowboy. Close contact jumping saddle in high quality grain leather. 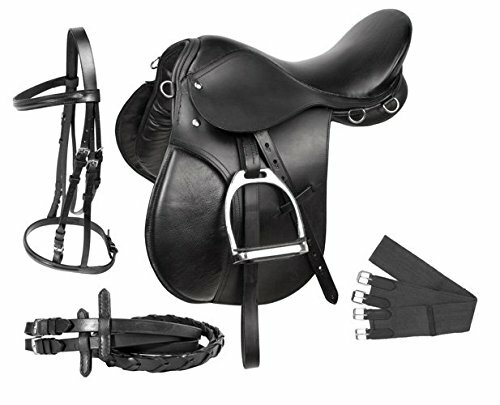 Square cantle seat, latex moulded panels, front and rear knee pads, stainless steel stirrup bars. Synthetic tree, withers 28 cm. Size 16": Pony.